At least the people in the coach are warm! 31179 pulls into Cheltenham Spa station with an inspection saloon on 17 November 1982, with plenty of evidence that the steam heating is working. 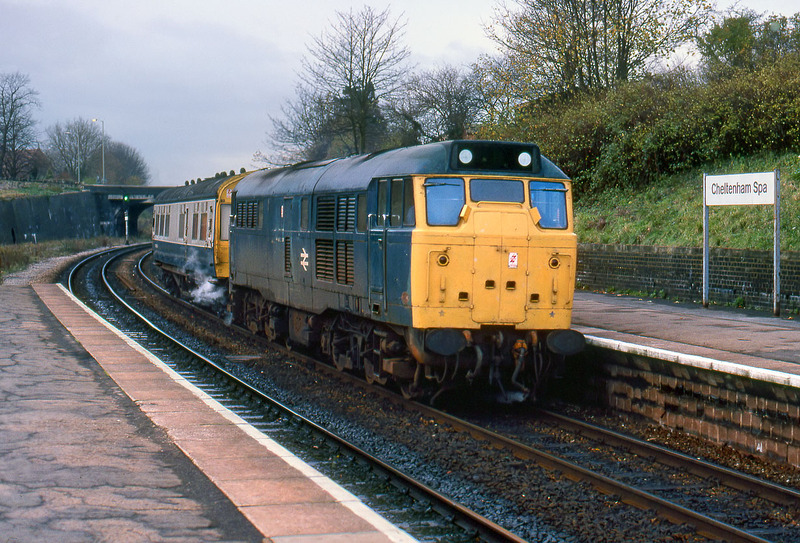 31179 was equipped with electric train heating and renumbered to 31 435 a couple of years after this picture was taken. It has since been preserved and is now to be found at the Embsay & Bolton Abbey Steam Railway, wearing its original green livery and carrying its original number D5600.